These availability and pre-order dates have also been echoed by Rogers/Fido, TELUS, and Bell/Virgin Mobile. So if you want the iPhone 5s at launch, you’ll need to line up at a store or order it starting on September 20, which gives Apple a ten day head start to begin churning out as many units as possible, considering China was added to the initial launch wave. 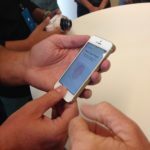 The lack of pre-orders for the iPhone 5s most likely are a sign of supply constraints of the newer components, such as the Touch ID fingerprint sensor, A7 chip, and new colour options of silver, gold and space grey; the iPhone 5c uses most of its parts from the now-retired iPhone 5.